While spring is still a long way off for many of us in Northwest Indiana, it’s never too early in the season to begin cleaning out your garage. And even when the temperatures hit their all-time lows, spending a frigid afternoon or two planning your spring cleaning can be a welcome distraction. Your garage — along with the basement and attic — is often one of the most neglected areas of your house. It’s easy to let junk accumulate in the garage, from broken vehicles to old children’s toys, and a couple of hours of cleaning can go a long way. However, anyone who’s cleaned out a cluttered room knows that the operation is rarely as easy as it seems, and can get overwhelming if you go in without a plan. We recommend everyone scopes out their garage and considers a few factors before they begin. Here are some of the essential considerations. While you can’t be expected to inventory every rusty tool and empty paint can lying around your garage, it’s a good idea to make a few notes of the large items you’d like to get rid of — and the ones you need. Maybe you have a corner dedicated to broken camping gear, or a box full of old pots and pans you forgot to unpack ten years ago. As long as you have a specific idea of items you’re going to throw out (or donate), you’ll have an excellent place to begin when it comes time to start cleaning. Pulling all your junk out of the garage and dumping it on your front lawn is not a winning strategy. If it seems like you have too much stuff to get rid of during trash day, you might even want to look up some disposal services or rent a dumpster for a day or two. Many people arrange their items and open up for a garage sale. Put up a couple of signs and see who stops over. It’s unlikely that you’ll be able to move everything, but garage sales cut down on the amount you’ll need to throw away the next day, and give you some extra cash in the process. For all the good-condition items that you can’t sell and will never use, donating to a local thrift store or Goodwill can help your stuff find a new home. I Have More Space… Now What? 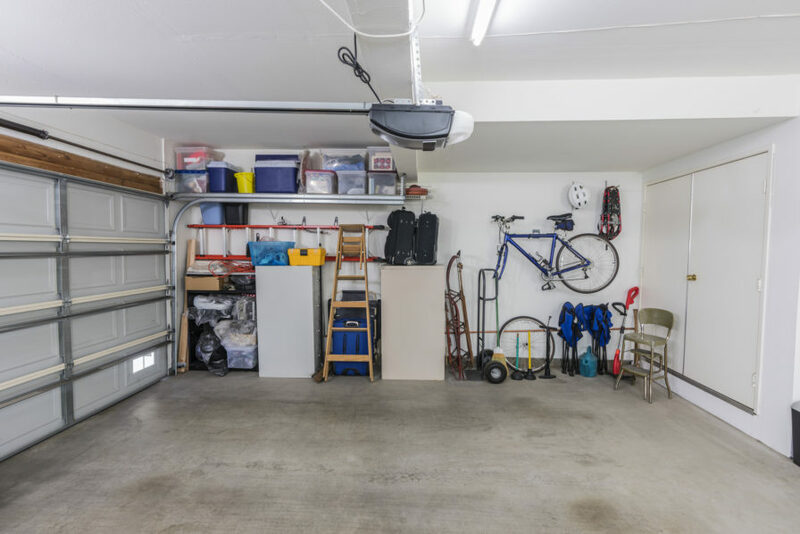 With your garage cleaned out, you’re sure to have plenty more room, and there are many great ideas for using this new space. Even if you haven’t started cleaning yet, coming up with a plan for your new freshly-cleaned garage can help guide the decluttering itself. Further, one of the benefits of a major cleaning operation is the fact that you never want to do it again! Remember all the work you did to get your garage clean, then avoid piling your junk in there the second time around. While February doesn’t always feel like the end of winter, March often brings warmer temperatures and the need to shake off the winter clutter. Cleaning out your garage on the first sunny day of spring can feel like the fresh start you’ve been looking forward to all season — and winter is the perfect time to plan for this!